Communication is an interdisciplinary subject which draws its material, evidence and prominent theories from a wide range of fields of study such as telecommunication, public relations, economics, linguistics, politics, anthropology and sociology, and what have you. With this in mind, the MA in Communication, Culture and Translation views communication as a subject with fluidly interdependent territories. It is not an information-centred subject. It is rather a processcentred subject which should not be based on talk-listen operation but should appropriately be a multi-way discourse between ‘active’ society communicators. Communication, Culture and Translation (CCT) seeks to keep the balance between theory and practice, though training students how to acquire skills takes priority over theoretical considerations. To achieve such a pursuit, a set of important applied courses are inter alia suggested, namely interpersonal communication, intercultural communication, mass communication, public relations, business communication. All debated theories within each discipline, in turn, are applied to practical situations and problems. It is our strong belief, thus, that upon completion of the MA course, the students will aptly be equipped with all required skills and knowledge necessary for the professional life. This Programme offers an exciting opportunity to study communication across a variety of disciplines including, business, interpersonal communication, intercultural communication, linguistics, public relations, semiotics, translation, etc. The teacher in this programme acts just as facilitator of learning. He introduces questions rather than answering them. He suggests enquiries rather than offering ready-made solutions. He equips the students with source material and clear guidance rather than imposing solutions. Upon successful completion of the Master’s Degree, the student will, among other things, be able to:  conduct advanced research on communication and write academic and administrative documents (reports, CVs, professional letters, file organization, etc.). They could evenly write up projects on translation theory and translate different books and documents.  understand how the use of language is conditioned by social factors like the participants, setting, context, level of education, social class, etc.  speak in public without any fear or shyness.  persuade without harming the addressees.  know the role of mass media in shaping the public opinion  demonstrate sufficient knowledge of the different theories and concepts of communication.  know business concepts used in the International Markets . The students must give presentations, submit book reviews and academic papers throughout the two consecutive years. They are also required to sit for written (and oral when necessary) examinations at the end of each semester. They will finally be required to write up an MA Dissertation of at least 15000 words during the 4th semester. The topic of the dissertation may be freely chosen by the students, though guidance of the supervisor is crucial to make sure the topic is relevant to the overall aim of the MA. Attendance is highly attested. The penalty for academic misconduct (i.e., plagiarism, cheating, etc.) is rigorously implemented. The MA programme offers necessary challenging communicative skills for students to enter the world of employment in any country world-wide.  It also offers knowledge in relation to cross-cultural communication enabling the students to be very successful communicative facilitators, and hence competent public relations leaders.  The programme will also equip students with advanced methodological tools preparing them for doctoral studies. What can be done with a Masters Degree in Communication, Culture and Translation? 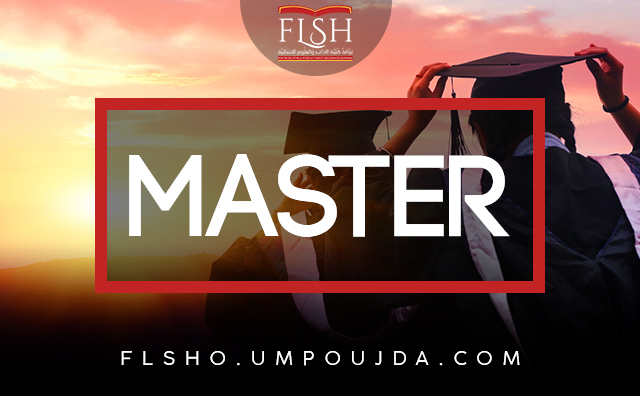 Upon completion of the Master programme, graduates will have the opportunity to either continue their academic research or plan to work in many important professional sectors, especially in departments of Public Relations that are normally found in almost all academic and professional institutions. They can be active employees in the sectors of mass media or business companies as translators, among other activities. The profile of graduate students in Communication, Culture and Translation can qualify them to find jobs in foreign Embassies and Consulates like USA and UK Embassies, some African countries, Moroccan ministries, especially the Ministry of Communication or the Ministry of Foreign affairs and cooperation. a) Applicants must normally hold an approved BA degree or an equivalent qualification in English Linguistics, Communication, or English Literature from an approved university/ institution. But, priority is principally given to English Linguistics and Communication disciplines. b) Illegible candidates are strictly selected on the basis of the number of distinctions they obtained throughout their university education which should at least be three (according to the new evaluation system) or two (according to the old evaluation system). c) Applicants coming from an English literature background should display sufficient knowledge about linguistics and communication studies. d) An Applicant must be committed to regularly attending their MA classes. Failure to do so more than twice, he is dismissed from the programme. A signed certified commitment letter is, therefore, needed before the commencement of classes. e) Cultural activities of the candidates are also considered. f) Files of applicants who have already obtained an MA are automatically excluded from consideration. After examining the files of all applicants, eligible students may be subject to an oral examination aiming at evaluating their linguistic and communicative competences.